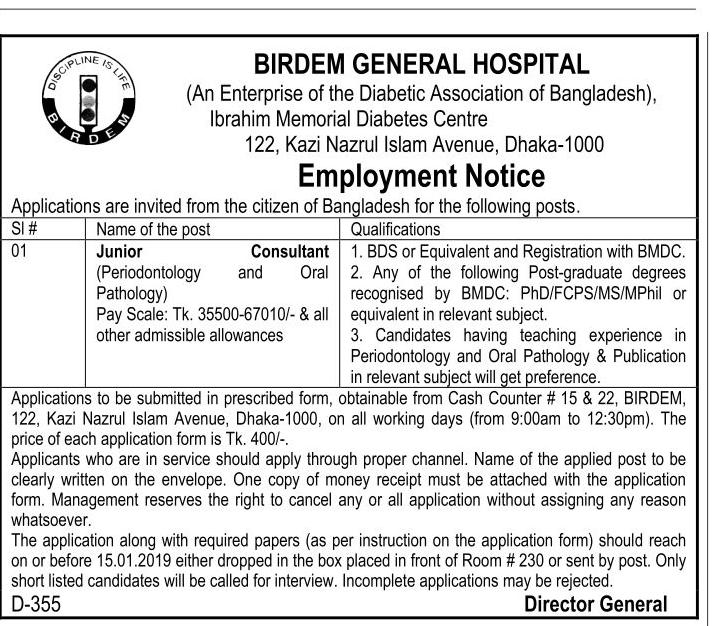 BIRDEM General Hospital job circular 2019 has been published.If you are unemployed You can join to this job. Back in 1956, when people had a perception that diabetes is a disease of the affluents and hardly anyone anticipated that diabetes would be an epidemic even in developing countries. Professor Dr Mohammad Ibrahim (1911-1989) led a team of dedicated colleagues to establish the Diabetic Association of Pakistan which eventually became Diabetic Association of Bangladesh (in Bangla Bangladesh Diabetic Somiti, acronym BADAS) ..You can check All job circular Lekhaporabd Hospital jobs.